When you require an air conditioning repair, you want it done in a timely manner. Are you looking for a professional, licensed heating contractor to help you with a heating repair? At ACS Absolute Comfort, solving your heating and air conditioning problems is what we do. Clean air is an important aspect in keeping family members comfortable while they are indoors. Whether you have an air conditioning repair for your workplace or a heating system installation for your home, our technicians have the expertise to get the job done quickly and professionally. Our technicians have passed the rigorous certification exam given through North American Technician Excellence; NATE is the only exam endorsed industry-wide. NATE certification means our technicians can repair any make or model of equipment in the HVAC market. 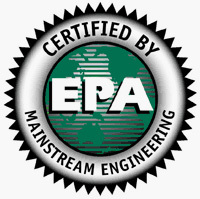 NATE certification also means you can be confident our installation specialists will install your heating and cooling equipment correctly. Our technicians are friendly and courteous. We handle preventive maintenance with the same amount of dedication and precision that we give to installation and repair. We take our responsibility to help you safeguard your heating and air conditioning system seriously. When we are in your home or place of business, we maintain a neat, safe work environment; we arrive on time and complete our work efficiently. When making heating or air conditioning repairs, we arrive with a fully stocked inventory of replacement parts. That means no waiting and wondering on your part; we make the repairs swiftly with minimal disruption to your schedule. At ACS Absolute Comfort, we believe that you have enough to be concerned about without having to worry about your heating and cooling system. We are proud you have entrusted your comfort to us and are eager to repay that trust with total customer satisfaction.